Learning to take better pictures….really really quickly! So…you might be thinking…why is a family portrait photographer taking photographs of a soft toy? Great question! I don’t usually. Well actually, I quite often do if a child is hugging or playing with a soft toy. But not generally on their own! I did it to show the importance of aperture. It can change and improve the look of your portraits (and other types of photographs) really quickly. Its a fundamental to taking great photographs of the people around you, so you can create images that have lots of connection, and look stunning. Something that you will treasure! 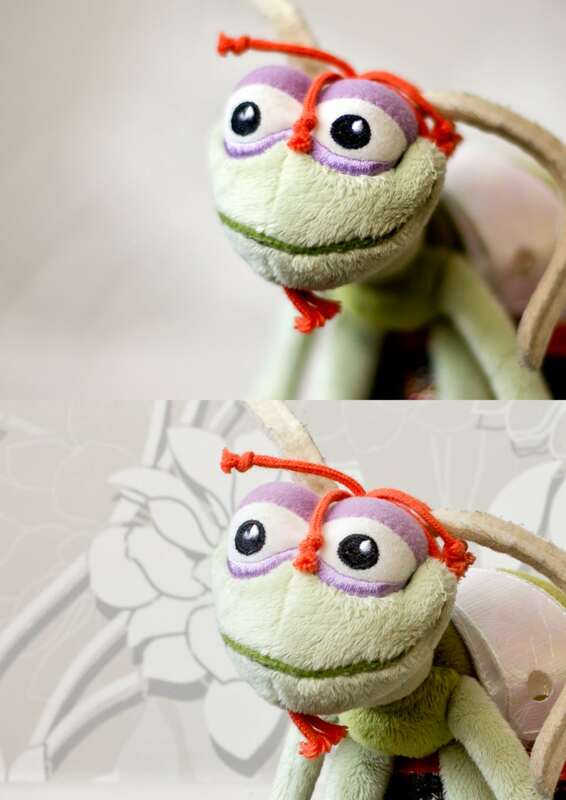 The top image is with an aperture of 1.4, an the bottom 22. We often call them f stops, so we say F 1.4 and F 22. Learning about aperture is a great way to improve you photographs…really really quickly. If you like learning in person, I have my beginners photography classes that are held here in Christchurch. Limited to just 12 people, you will improve the way you take photos of your family and friends, and create images that have more connection. The best photography classes in Christchurch!